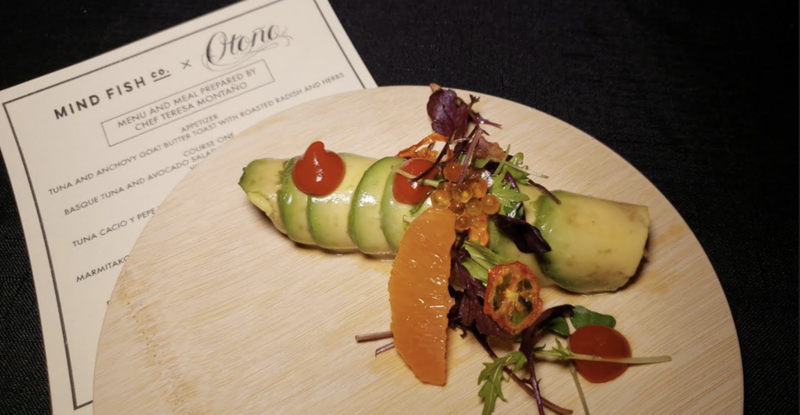 Recently foodie bloggers and influencers were reminded to #EatSustainably while dining on creations from the collaboration of Mind Fish Co. and Chef Teresa Montaño of Otoño restaurant. Held in Hollywood, the chic event brought progressive dishes to the forefront using wild skipjack tuna from Mind Fish co. Not only is wild skipjack tuna high in omega 3, good for the heart and brain, convenience, affordable and shelf stable product it is one of the only non-threatened tuna species, and fastest growing! Mind Fish Co.'s CEO Jerry Lin Gives Us A Glimpse Into the Brand! Photo Courtesy of TFN Media Group. "We really wanted to promote this fishery it really supports the fisherman there and the families of the fisheries there.It's about finding products that preserve seafood and protein for future generations," stated Mind Fish Co.'s CEO Jerry Lin. "I wanted to change your perception from tuna, its more than tuna salad and tuna sandwiches. The Europeans where its really a highly appreciated product that has been around for centuries. You're really capturing the essence of that in a can. It's a fantastic product." Each can is pole and line caught in the Maldives and delivers fresh light tuna and is a far throw from your average canned tuna. The product will completely reinvent the way you consider canned tuna. 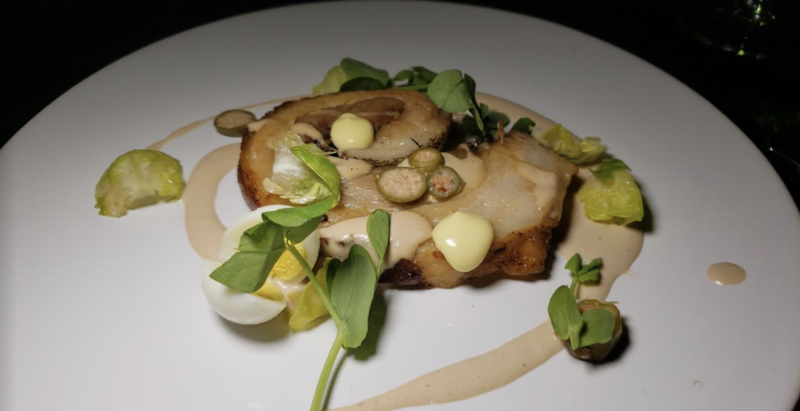 Chef Montaño of Otoño Created a DELICIOUS meal For the Evening! Photo Courtesy of TFN Media Group. "I am passionate about this tuna and how it translates it can be elevated. It's beautiful, super nutritious body-builder food," continued Chef Montaño of Otoño. While indulging in fine wines from Antalva Imports, we were able to learn about the benefits of skip line tuna over fine dishes. Stay tuned for Otoño, a progressive Spanish-inspired restaurant concept exploring taps and paella beyond the tradional and through a modern yet urban lens. Montaño's restaurant is set to open in LA in May 2018.